Apart from art.11 paragraph four on the citizens’ initiative which will be rolled out soon following the adoption of the Commission’s regulation, paragraph two and three of the same article on civil dialogue and consultation have not been given tangible implementation. 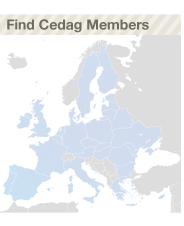 CEDAG and other civil society networks feel that the implementation of the other parts of art.11 could play an important role in bolstering people's sense of ownership of the European project and fostering an increasingly informed and significant European space. Sharing the same concerns, the EESC is now working on a own-initiative opinion on art.11(1) and 11(2) of the Lisbon Treaty whose rapporteur is Luca Jahier, President of group III of the committee. During the meeting All Liaison Group members expressed their keenness to contribute to this document and to address some crucial issues such as for instance the relationship between the EESC and civil society. The second part of the meeting focused on the European year of citizens 2013 and was open to the participation of the EY2013 Alliance members outside the Liaison group. Following to Commission’s proposal to designate 2013 as the European year of citizens, the European organisations and networks members of the Liaison Group decided to create an alliance open to other european networks in order to campaign on MEPs to broaden the scope of the EY2013 to all aspects of citizenship and to raise the budget. Intense contacts were thus established with the European Parliament’s rapporteurs responsible for drafting the Parliament’s opinion: Antigoni Papadopulou (LIBE rapporteur), Marie-Christine Vergiat (CULT rapporteur), Gerard Hafner (AFCO rapporteur) and Ilda Figueiredo (EMPL rapporteur). EYC2013 Alliance concerns and proposals received very positive feed-back from MEPs and they were widely taken up by the different rapporteurs in their draft opinions. The forthcoming step will be to organise soon a seminar aiming to deepen the reflection on citizenship dimensions which the Alliance will put forward within the EYC2013. On the basis of the discussion within this seminar, a Manifesto will be drawn up in order to affirm the political goals and the action plan that the EYC2013 Alliance would put in place in order to give practical substance to its aspirations and claims. The Alliance could then face two different scenarios: the Commission changing its proposal and including the concerns and messages of the Alliance or the situation remaining unchanged. Several members of the EYC2013 Alliance while thinking ahead expressed the firm resolve in the worst-case scenario of running a independent campaign mobilising citizens on issues which really matter to them. All shared the view that especially in time of crisis, citizens’ rights have been squeezed by austerity and economic reforms which has shaken and put even more at risk the confidence and legitimacy of the EU. The 2013 is a crucial year to fight this backward trend and to revamp citizens’ participation in light also of the upcoming European elections 2014. The course of action which will be chosen by the Alliance is very much related to the outcomes of the institutional process of adopting the Commission’s proposal by the European Parliament the Council. The LIBE committee’s rapporteur for EY2013 is expected to present the final report in the European Plenary session in July. After then the European Parliament and Council’s will adopt a final decision.